It is vital that your bar is aesthetically pleasing and that your guests leave with the opinion that they had been looked after. A bar is, arguably, one of the first places guests will look for when they arrive, so it is crucial to the success of your event that all aspects of your bar service are managed by a professional team who excel and thoroughly enjoy in what they are doing. Our extensive client catalogue and outstanding testimonials speak for themselves. 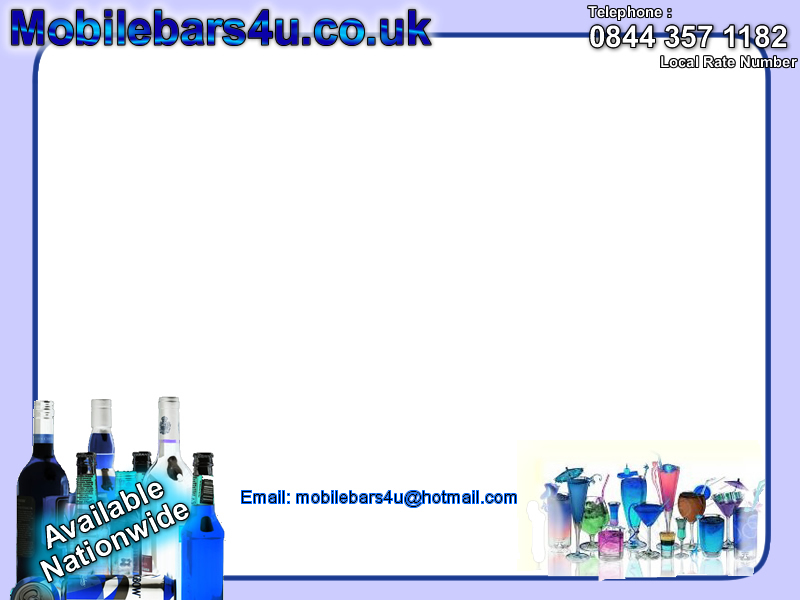 We are more than happy to talk about what we do best, so call us on 0844 357 1182 or email us on mobilebars4u@hotmail.com and we will be delighted to give you some free advice on your next event bar.